Once you get to the top of the fort, you can also enjoy an alluring view of the city and her surroundings. A good pair of binoculars would therefore be a useful aid when you choose to explore this fort. Devagarh is about 10 kilometers from Sikar on the Harshnath road and the strategic fort of 1787 origin is worthy of your time. However, some trekking will be essential since no proper road is available to approach the fort itself. The origin of this Shiva temple can be traced back to the 10th century and is some 14 kilometers away from Sikar perched on the Aravalli hills. The architectural display at the ruins of this temple is indeed breathtaking. 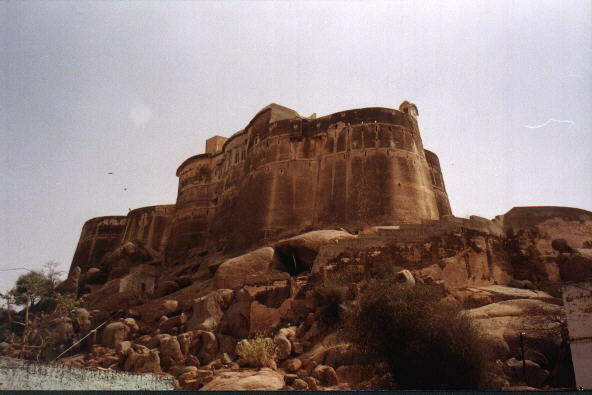 This is a beautiful fort that can be reached from the ground level and falls about 10 kms from Sikar en-route to Jaipur. Laxmanagarh is among the more impressive forts that you can see in the whole of the Shekhawati region.